Torquing hardware correctly is, of course, extremely important. Over tightening a fastener can be just as dangerous, or just as damaging, as under tightening a fastener. 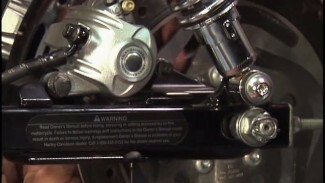 To achieve a correct torque spec, it is important that you learn how to use a torque wrench. Torque wrenches are not only available in foot pounds and inch pounds, they are also available in a number of sizes. It is important to use the correct torque wrench for the application and our videos show you how to use a torque wrench, time and time again. It is also important to “develop a feel” for your tools and to practice common sense when tightening hardware. For instance, the outer primary cover on a twenty year old Harley Davidson has likely been removed and reinstalled numerous times. 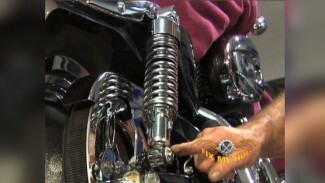 Torque specs are specified for a components and fasteners that are in new or like new condition. 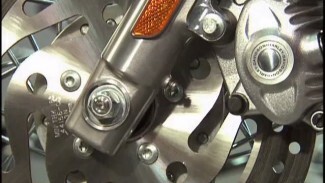 If you attempt to follow torque specs to tighten a steel fastener into an older aluminum housing or case that has already been in service, you run the risk of damaging the threads in the housing. In this case, you can still use a torque wrench but the specified torque spec should only be referenced as opposed to followed. This is when it is important to have a good feel for your tools and what is correct and safe for final tightening. Watch Mike show how to use a torque wrench in this video.